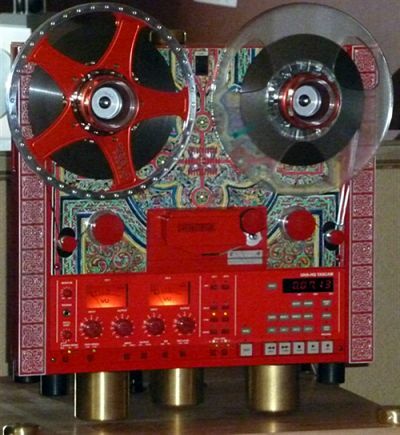 As I noted in part I, a big surprise to me was the number of open reel decks on parade, by no means as many as turntables but still a definite presence. 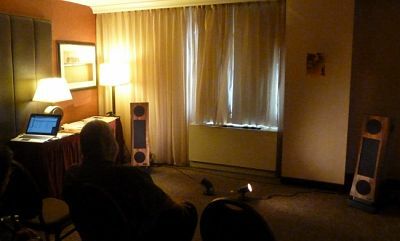 First up was the United Home Audio display just off the lobby of the host Sheraton Hotel in Silver Spring, Maryland. On display were the vendor's own modified Tascam decks. 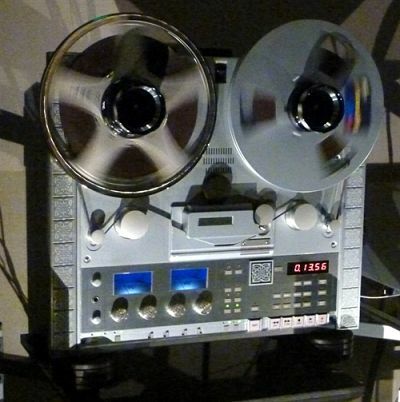 Dramatic lighting really played up those big, spinning reels of tape. OK, four decks may not be a lot in absolute terms, but that was exactly four more than I would have expected given that the format has seemed defunct, at least at the consumer level, for years now. 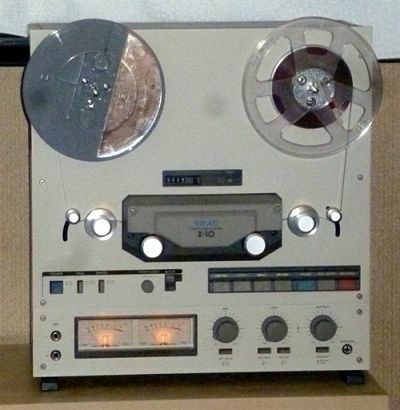 Mind you, if you don't insist on tube electronics, for the combined cost of the Reeltronix reels alone you could buy a solid used Ampex professional deck…. In contrast, one would expect a wealth of speakers, and the show did not disappoint in that regard. Since nearly every room had at least a set or two, I'll be more selective here. Horn aficionados were well served. 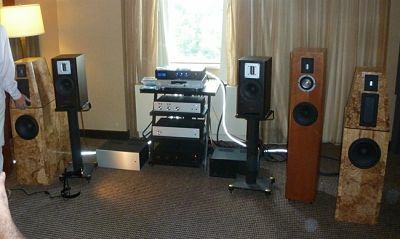 The largest display was in the room for Classic Audio Loudspeakers/Atma-Sphere/Tri-Planar/Purist Audio Design/Stahltek. For sale to visitors were the little Nipper statues in several sizes; a fellow attendee bought one while I was nosing around. 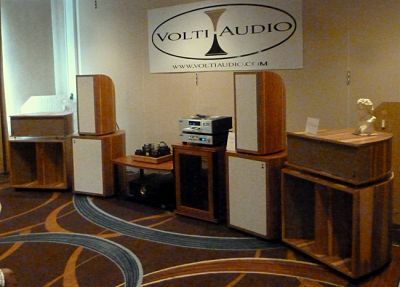 Volti Audio also had an extensive display of its wares. 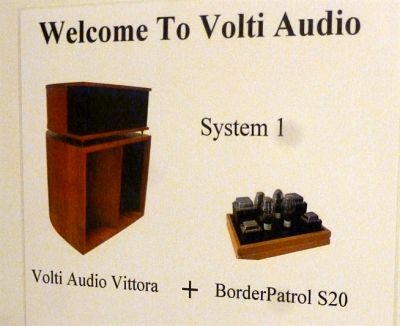 When I visited the room, the demonstration featured the Vittoria speakers driven by a Border Patrol S20 amp. 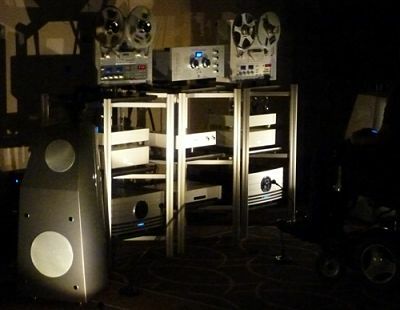 Déjà vu Audio, in its vintage audio room, was playing an interesting custom set combining 1920s vintage theater horns with more conventional horn/dynamic cabinets fitted with a massive woofer. 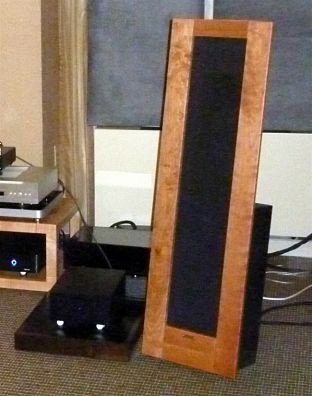 Philharmonic Audio/Audio by Van Alstine/Element Cables included a special edition burl olivewood edition of the Philharmonic 3 speakers. 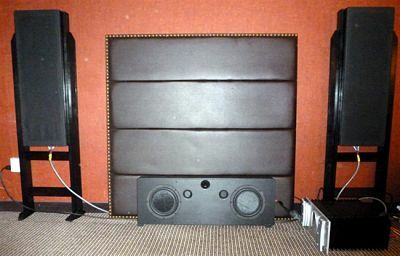 Miracle Audio offered a novel on-the-wall design with two large DiAne speakers extended by a RoseAnn sub. 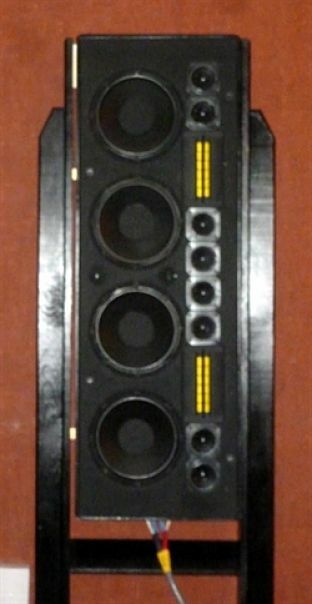 Each “satellite” was of a transmission line design featuring four low-mid drivers, eight mid-high drivers, and two planar supertweeters. The sub featured two drivers, again in a transmission line cabinet. 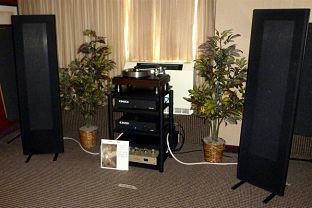 The speakers are designed for on- or in-wall mounting, but for the show the DiAnes were mounted on tall stands. I believe the black panel between them normally serves as a headboard for a hotel bed. The show also catered to admirers of panel designs. 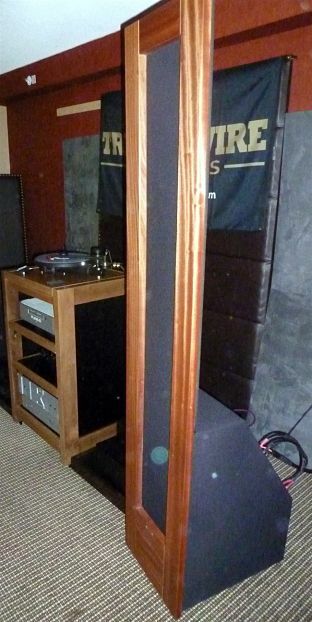 The Merrill Audio/Sanders Sound Systems/Channel D room offered a pair of the Sanders flagship Model 10 speakers. 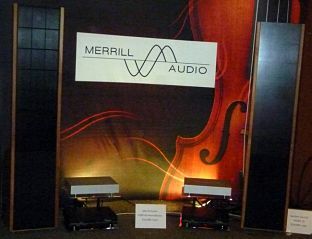 Merrill's contribution was a pair of Veritas monoblocks. 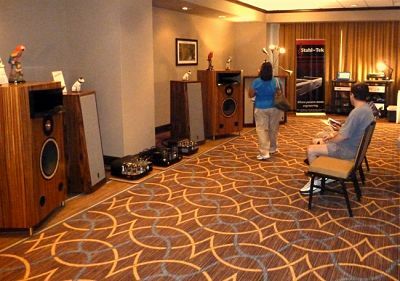 GT Audio Works shared in two rooms at the show, both featuring the company's hybrid ribbon planar/dynamic speakers: GTA 1 and GTA 2 models, respectively. 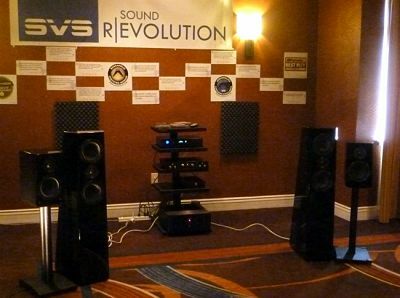 Magnepan was not directly represented at the show, but LKV Research pressed a pair of Magneplanar 1.7s into service to demonstrate its 2-SB phono stage and prototype line stage preamp. That's it for speakers. I'll show some of the electronics and offer a few final comments in Part III.